Say NO to GMO apples! The biotech industry keeps promising to solve major problems, from world hunger to malnutrition. Instead, they’ve given us herbicide-resistant and pesticide-producing crops, increasing Americans’ exposure to toxic chemicals. And guess what’s the latest genetically engineered crop that’s heading for your plate? Apples that never turn brown. Like all genetically engineered crops, these new apples have not been proven safe for human consumption. Even worse, they use a troubling new genetic engineering technique, which has even greater potential side effects for the environment and human health. The genetically modified (GMO) apple has been produced using a new technique known as RNA interference (RNAi). This method uses genes from the same species in order to trigger a “silencing” mechanism that stops a certain protein from being produced. But the technology doesn’t just silence the genes that are intended. There is mounting evidence that the RNAi technology can have effects on other genes as well, preventing the production of proteins of many types. A 2012 Cell Research study indicated that ingesting RNA material from certain plant-based foods can have unexpected effects in mammals. Humans should not have to serve as the guinea pigs for this technology! Although these GMO apples are primarily targeted to the fresh-sliced apple market, they could also find their way into juice, baby foods or applesauce at the processing level – all products frequently eaten by children and babies who are at increased risk for any adverse health effects. Even the apple industry has opposed this genetically engineered product. The U.S. Apple Association, Northwest Horticultural Council (which represents Washington apple growers, who grow over 60% of the apples in the U.S.), British Columbia Fruit Growers Association and other grower groups have already voiced their disapproval of these GMO apples due to the negative impact they could have on farmers growing organic and non-GMO apples through contamination, and to the image of the apple industry as a whole. If the apple industry doesn’t want GMO apples, and consumers don’t want GMO apples, who do these apples really benefit? As usual, this product only benefits the biotech industry and big food processing companies. The deadline for comments is midnight on Monday, December 16, 2013. (Note: the original deadline was December 9, but USDA has extended it due to technical difficulties with the website). Be sure to click “submit comment” at the end of the process. You should be taken to a new screen with a confirmation number – if you don’t see one, then your comment has not been submitted to the USDA. Please be sure to personalize your letter! Include any special interest you have in apples (Do you grow apples? Buy heirloom varieties from local farmers? 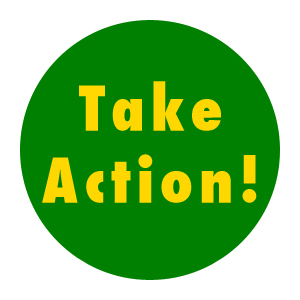 ), and briefly describe why this issue is important to you. USDA should deny approval of Okanagan Specialty Fruit’s genetically engineered, non-browning “Arctic” apple (Docket No. APHIS-2012-0025). These genetically engineered apples pose a potential threat to both human health and plant health. The RNA interference technique used to create these apples silences individual genes – and it could silence more than just the intended ones. Mounting evidence shows that this method of genetic engineering may have unforeseen side effects that could hurt the health of consumers who eat these apples, as well as negatively affect the plant’s ability to defend itself against pests. There is no benefit to the American public of approving these apples. The fact that apples turn brown after being sliced is not a problem. 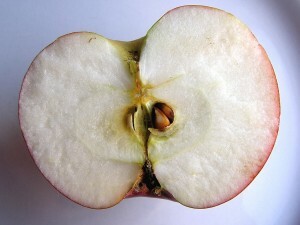 Indeed, the color change serves as an important signal to people when a sliced apple is not fresh. These genetically engineered apples will simply create a fraud on consumers, by fooling people into thinking that they are buying fresh apples when they are not. Because genetically engineered foods aren’t required to be labeled, concerned consumers would have no way to avoid these misleading products. The genetic engineering of such a commonly grown fruit could cause contamination of nearby organic or conventional apple orchards. Many apple grower groups have already voiced their disapproval of these genetically engineered apples due to the negative impact they could have on farmers growing organic and conventional apples, and the apple industry as a whole. This product is completely unnecessary and poses several risks to apple growers, the food industry and consumers. USDA should NOT approve this genetically engineered apple variety.